On Thursday March 7th Mario Draghi and the ECB surprised markets with the announcement of a halt to the increase in interest rates and a new stimulus for European Banks. Following recent signs of a slowdown for the Union’s economy marked by greatly reduced growth projections for 2019, the European Central Bank will be postponing its rate hike to 2020 and promised a new round of long term ultra-cheap loans, known as TLTROs, to banks looking to expand lending. Investors have seen this move as a clear sign that turbulent times are ahead, especially considering that it comes after only three months from when the same institution halted the expansion of its $2.6tn. quantitative easing program. 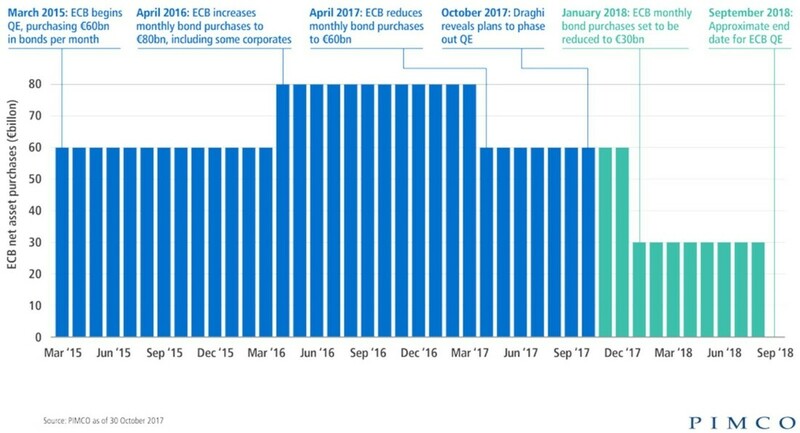 Mr. Draghi and his team have been faced with an increasing number of issues in the last few months that lead to this decision, first of which being Brexit. With the March 29 deadline approaching, there are still a great deal of questions that need to be answered, especially regarding the backstop dilemma, making a hard Brexit a concrete possibility. Moreover, Italy is entered recession territory and Germany is barely escaping one, marked by a weakening manufacturing sector and declining exports. The EU as a whole is facing threats on its exports due to deteriorating trade relationships, these are remarkably concerning for the automotive industry where President Trump has threatened more than once to impose tariffs as high as 25%. The discomfort felt by investors was directly translated to the markets where European banks were especially hard-hit. Of the 26 members of the Euro Stoxx Banks index, all of them ended the day of the announcement lower (Bankia -5.3%, UniCredit -3% and Deutsche Bank -5.1%), causing the index to finish the day 3.2 % lower. Only talks of a merger between Germany’s Commerzbank and Deutsche Bank were able to provide a slight rebound in the following days. The change in rate expectations has also sent the euro down 1%, close to the $1.12 mark last seen in November. 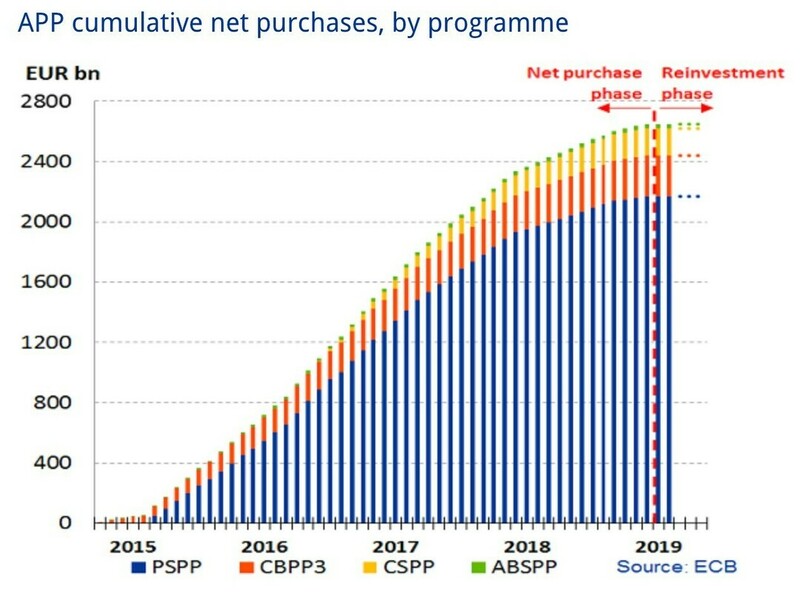 This new decision by the ECB to pause its monetary tightening policy is yet another sign of how hard it has been for regulators to reach the “normalization” they have been aiming for during the past 10 years. Despite the fact that these corrections are data driven and theoretically sound, they signal a much more worrying reality: the global economy is not as strong as we expected or hoped it would be. It has happened now more than a few times that central banks had to correct their mistakes, let us think of the reverse rates’ policy Mr. Draghi implemented at the beginning of his mandate or when, more recently, the FED had to pause its rate hike following global political tensions and worrying signs from China and Europe. We can only hope that these recent changes will be able to revitalize global economies, reinvigorating the growth that has followed the crisis in the past ten years. Perhaps, policy makers will also be more patient in their tightening and let the economy recover at its pace without creating possibly another self-inflicted recession.